We stitch various thread colors onto a substrate fabric to create our custom embroidered patches. 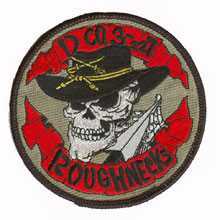 These embroidered patches offer a traditional look of boldness and depth. They can be made in virtually any shape or size and can be replicated from any artwork design or patch sample. 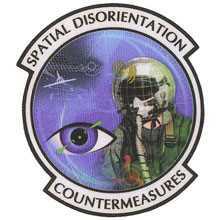 We use a more modern form of technology to create our dye sublimation patches (printed patches). We color each molecule of the patch’s fabric background with a special dye that bonds to the fabric. 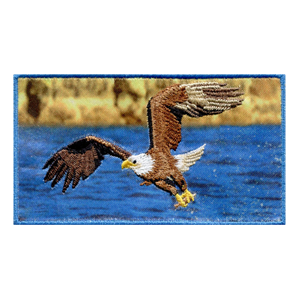 These patches can be dyed virtually any color or shade and give you an image that is almost photographic in quality. With our dye sublimation & embroidery combination patches, you can enjoy the best of both worlds. These combination patches blend the detail of dye sublimation with the classic look of custom embroidered patches to give you a beautiful, unique look. Our embroidered bullion crests are individually made by skilled craftsmen. We combine gold and silver bullion wire with hand-stitched embroidery for each patch. 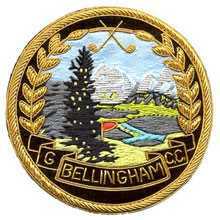 Many private societies, fraternal organizations, golf clubs, and other organizations that require fine insignia choose these unique patches. At American Patch, we weave various colors of yarn together on a loom to create our woven patches. Because they don’t use substrate fabric, they are thinner and allow for finer detail. 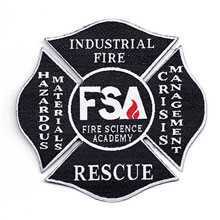 Each custom woven patch can be made in virtually any shape or size and is finished with a merrowed or laser-cut border. 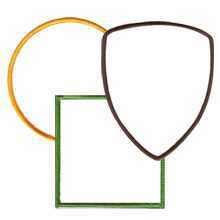 We can manufacture blank patches to your specifications (at a minimum of 100 identical pieces) and with your choice of backing. You can mix and match twills and threads to meet your design needs. 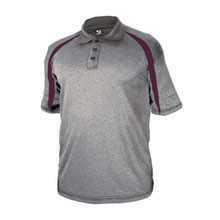 We have a wide selection of shirts, caps and other garments available to our customers through www.brandbookonline.com/vip. Feel free to browse this resource to find the products that you need at wholesale prices. Just let us know what you’d like and we’ll arrange for your shipment to coordinate with your patch purchase.